Country living! Pretty little home has been remodeled. Furnace, electric, plumbing. Knotty pine screen porch with woodstove and ceiling fan will become your favorite place for morning coffee. Two bedrooms, two car garage with lean-to for covered storage, and finished workshop. 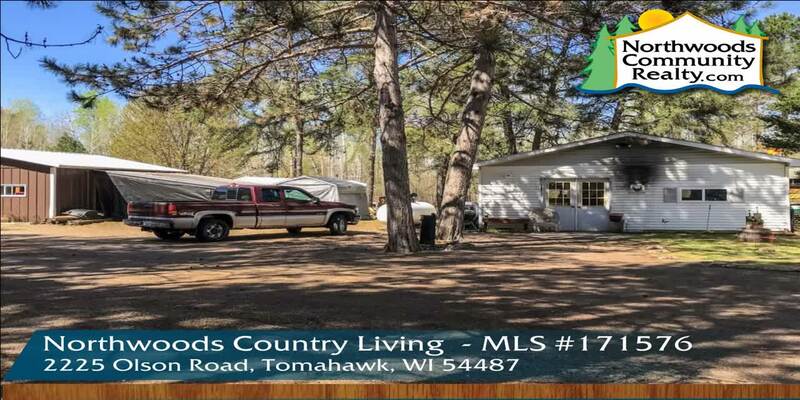 There is also mobile home on the property with new furnace and air conditioner, use this for visitors or in-law arrangement or rental income. Two wells, two septics, patio, and all on 1.8 acres in the town of Woodboro. Property can not be split. The blue circle drawn on the map represents the area which is most likely to contain listings comparable to 2225 Olson Rd. If you wish, you may adjust the circle by dragging the white center handle to move it, or dragging one of its other white handles to resize it. Press the 'Next' button at the top when finished.